Microsoft sees a future full of potential. They are working to expand the possibilities for computing every day, by continually improving and advancing their current products and embarking on fundamental research that paves the way for tomorrow's breakthroughs. 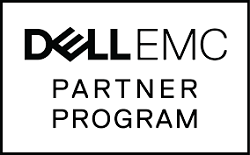 Dell is a trusted and diversified information-technology supplier and partner, and sells a comprehensive portfolio of products and services directly to customers worldwide. GFI Software pioneers powerful, award-winning and affordable IT solutions for small and medium-sized businesses (SMBs). CompTIA is the voice of the world's information technology (IT) industry. As a non-profit trade association, we advance the global interests of IT professionals and IT channel organizations and enable them to be more successful with industry-leading IT certifications and IT business credentials, IT education, resources and the ability to connect with like-minded, leading IT industry experts. Veeam Software enables the Always-On Business by providing Data Center Availability with high-speed recovery, data loss avoidance, verified protection and more. Datto is an innovative provider of comprehensive backup, recovery and business continuity solutions used by thousands of managed service providers worldwide. Datto’s 140+ PB purpose-built cloud and family of software and hardware devices provide Total Data Protection everywhere business data lives. RingCentral delivers the high quality, reliability, and value expected by enterprise businesses with RingCentral Office - an all-inclusive cloud phone system. SonicWALL designs, develops, and manufactures network security, secure remote access, Web and e-mail security, continuous data protection, and policy and management solutions. Intuit is an American software company that develops financial and tax preparation software and related services for small businesses and accountants. StorageCraft provides top-notch data management and protection products and solutions for the next-generation hybrid data center, be it on-premises or in the cloud and serves organizations of all sizes, with millions of servers protected and several petabytes of data under management. Barracuda Networks offers easy to use and affordable products that protect organizations from email, Web and IM threats. The company has leveraged its success in the security market to offer networking products that improve application delivery and network access as well as world-class solutions for message archiving, backup and data protection. American Power Conversion provides protection against some of the leading causes of downtime, data loss and hardware damage: power problems and temperature. As a global leader in network-critical physical infrastructure (NCPI) solutions, APC sets the standard in its industry for quality, innovation and support. NETGEAR has been a worldwide provider of technologically advanced, branded networking products since 1996. They have made it their mission to be the preferred customer-driven provider of innovative networking solutions for small businesses and homes. Linksys specializes in products and solutions that provide effortless and economical sharing of broadband Internet connections, files, printers, digital music, videos, photos and gaming over a wired or wireless network.